Many clients of financial advisors share a common concern and fear. Because finding an individual to trust with their money is not something to be taken lightly, this concern can be magnified. Clients wonder what happens to them if their financial advisor retires or unexpectedly dies. This is a legitimate concern. What would happen if your advisor decided to retire to warmer weather and sunnier places? 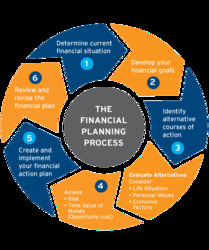 So, for you Finstem Group is a firm which is certified financial planner in Delhi NCR, with a team of financial advisors, who are having years of experience in framing a feasible and productive strategy that allows you to strategically plan your mo0ney investments. A planned investment allow you to reap more than you sow. For that you need to hire a financial advisory firm that pursue a long productive experience in providing financial advices to their clients. So if you are also in search of a financial advisory firm in Delhi, then Finstem Group is a one stop solution for all your queries.